Barcelona extended their lead at the top of La Liga to seven points after two goals from Luis Suarez helped fire them to a 3-0 win at Leganes. 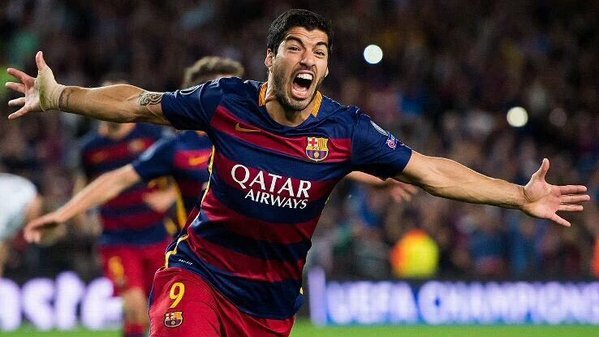 Suarez opened the scoring in the 28th minute before he doubled the lead again on the hour mark. Paulinho sealed the victory in the 89th minute when Lionel Messi flicked the ball into his path. Meanwhile, Atletico Madrid and Real Madrid failed to close in the gap when they played to a goalless draw. They are now ten points behind log leaders Barcelona on 24 points. Real Madrid remain third while Atletico are 4th, separated from Real by goal difference. Sevilla moved up to fifth after coming from behind to record a 2-1 win over Celta Vigo. Maxi Gomez rose to meet Pione Sisto’s free-kick after 13 minutes to hand Celta a perfect start. Sevilla leveled the terms ten minutes before half time through Luis Muriel and they completed the turnaround three minutes into the second half courtesy of Nolito’s effort. Elsewhere, Getafe striker Angel scored twice as his side cruised to a 4-1 win over struggling Alaves in the opening game of the day. Getafe made a flying start with a strike from Markel Bergara and a Jorge Molina penalty giving them a two-goal lead inside the first 10 minutes. Angel added his brace in the opening 20 minutes of the second half before the visitors replied late on with a consolation goal from Christian Santos.